Yes, it is August and it is raining…..joy! 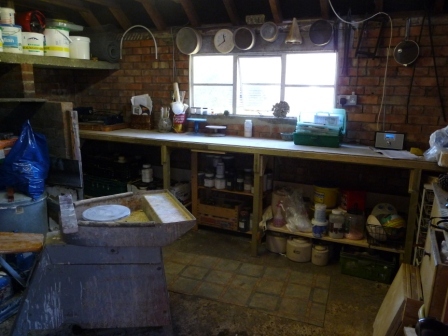 But I have been in the potting shed today for a mammoth throwing session….and it is good to be back on the wheel. Full of ‘mountain inspiration’, I now have a selection of bowls, pots and mugs that are crying out for some creative glazing. 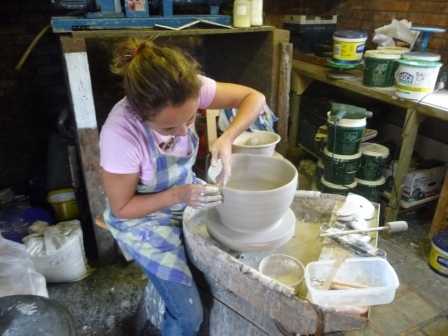 Newly invigorated with a 1970’s glaze book, I am determined to mix up some delights…..well, that’s the plan! Also threw an absolute whopper of a bowl….assisted by my new friend…the hot air gun (liberated from the bottom of a box in the garage). 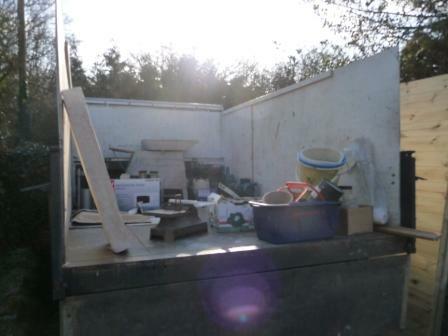 This enables you to dry the clay sufficiently, as you are going, so you can add new sections there and then without it collapsing, rather that waiting for a day for it to go cheese hard. It was going so well, but then maybe I got a little ambitious and it flew off the wheel like Gene Kelly round a lampost. 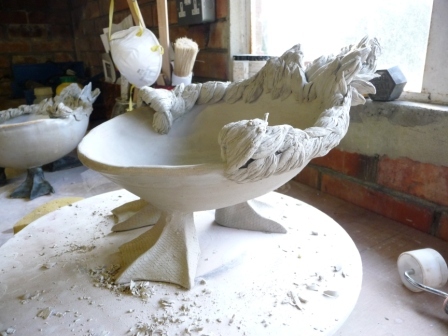 I re-wedged the clay pronto so not to dwell on the demise of ‘bowl deluxe’ and turned it into something else…still made in sections….but not quite as large. Know your limits!!! 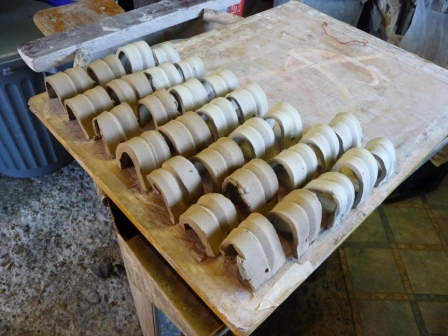 Pots in the biscuit kiln too….interested to see what happens as I have made slips from the Maryport Slag and from clay collected from Stonycroft Ghyll. 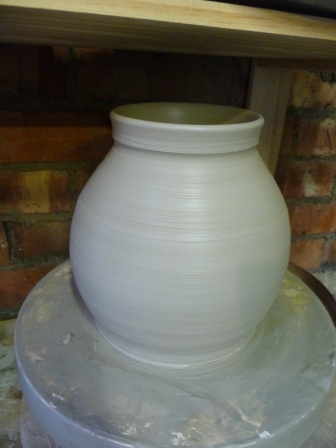 Have made 2 buckets of slip today. One white or a base for other colours and one black hopefully. The white is just 50% Ball Clay and 50 % China Clay. Had this huge sack of ball clay from Desmond which I thought I would use. It was full of massive big lumps, and no amount of poking was going to get them through a 60# sieve, so I ended up milling them both. Desmond will be happy to see his mill in use. I was never a fan of it before because of the washing up it creates…but needs must. At least they are made properly now…..and Julian offered to do the washing up with the hosepipe in the garden, in exchange for a bowl of pasta – bonus! I remembered whilst mixing the slips that they require biscuit firing after application, so won’t be able to test them in this weekends glaze firing. Nevermind, something to look forward to experimenting with next time. 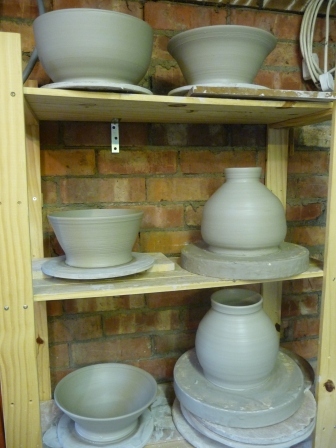 Had the biscuit kiln on again today, thought I would get some of my throwing efforts ready for glazing before the weekend. Heard a loud bang in there though, so something has exploded…..will have to see tomorrow evening if anything as survived…. P.S. Check out the new slideshow application….I like it…but no captions……. 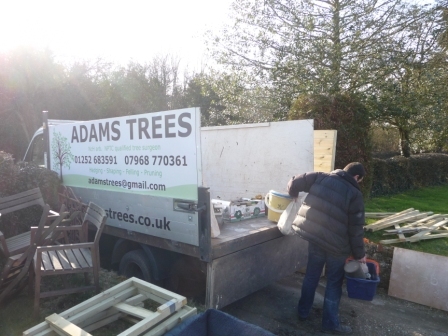 Late to Desmond’s this morning, because we went to borrow a friend’s van for the day…..only to find it was full of logs, (he is a tree surgeon), but had to find somewhere to dump them first, that was open on a Saturday. Arrived at Desmond’s at 11am in the end, only to find we were 4 hours early! They were expecting us at 3pm, pointed out that was last weekend arrangement…..nevermind the benefit of arriving early is we got lovely warm biscuits, just out of the oven. Well done to the weather forecasters for getting it wrong again….thankfully not a drop of rain, just lovely sunshine. I was glad to read in the paper today that the Met Office has finally given up doing long range forecasting…..after, hummm…100 years, they have worked out that they can’t do it. Anyway back to business, we filled the van with pottery booty. I really have no excuses now. I have just flicked through Emmanuel Coopers ‘The Potters Book of Glaze Recipes’ and I have the ingredients to make most of these (455 glazes). 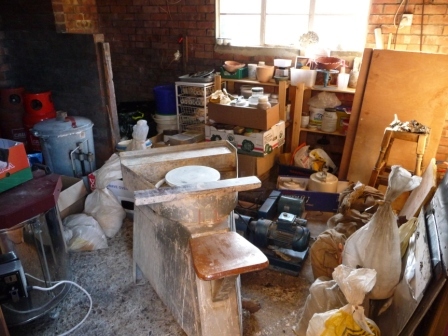 In fact, I was trying to find a glaze with an ingredient I didn’t have…..came up with wollastonite…ever heard of that? I appreciate the fact that Desmond has allowed me to take ownership of this much used and much loved equipment, collected over the past 40 years. I know he has had an immense amount of enjoyment from it, and I will ensure Icontinue to do so. It has gone to a good home, and it’s a good job I cleared out the shed earlier in the week. It is going to need another big sort out now. 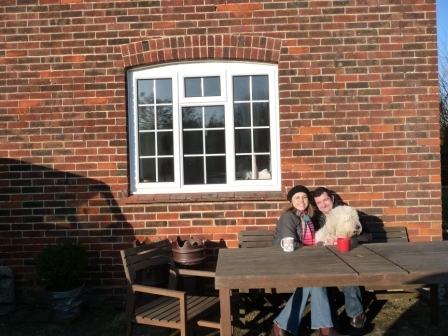 Also managed to pick up our garden furniture, kindly looked after by Al and Barb for the past 3 years. 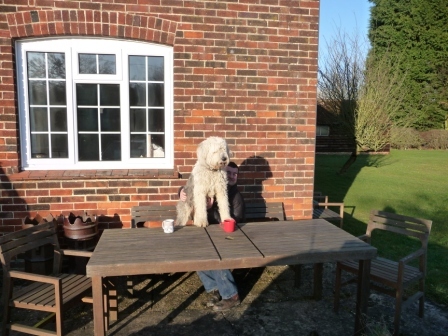 With all the heavy lifting done, I very much enjoyed my cup of tea in the sunshine this afternoon….sitting on my bench. 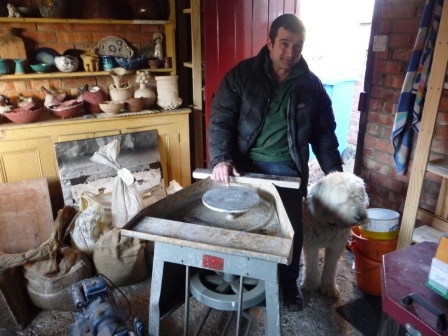 Oh, and the old pottery wheel has been sold on ebay and will also be enjoying a new home soon, and I will be enjoying a new bag of clay (or 2) with the proceeds. How on earth did we lift that wheel up there? 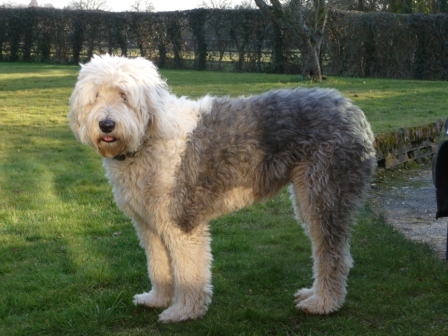 Look how white and fluffy I am....must of been to Al's Poodle Parlour for a scrub.